Chris has nearly twenty years under iron and the proud honor of Team USA. He has racked up podium finishes in sport. He has performed anatomical atlas drawings for the human body. He has studied Biomedical Visualization. He has paddled across Channels and competed on Team USA. 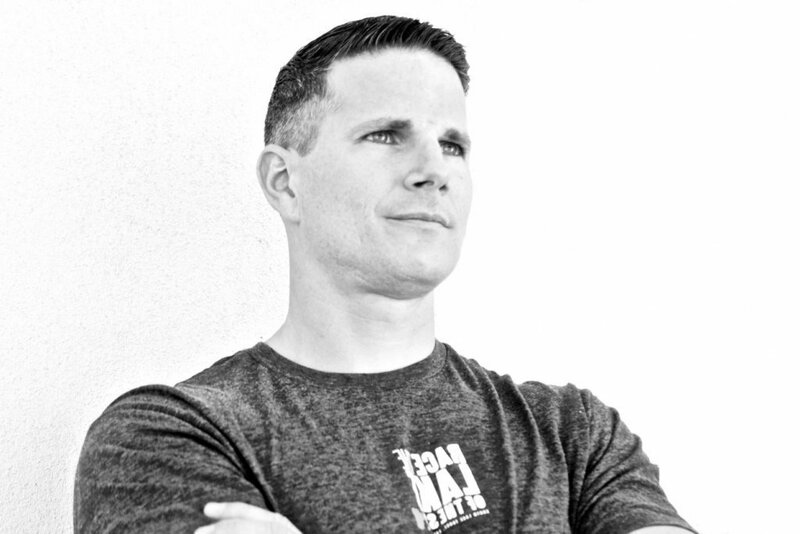 Chris’ background has forged him many life lessons, and his ability to turn those into training lessons and making athletes better is a skill unique to his outlook. A gentle personality does not hinder his ability to lead with absolute conviction every time he is on the floor. I am 42 and from York, PA. I came out to San Diego in 2002 without a plan, compass, or rudder. I found them all here in San Diego. I was one of the first 100 members prior to coaching in June 2015. It’s not so much what I hope to accomplish, it’s really what that individual member wants to accomplish. Everything that is going to happen is going to happen through their effort and consistency. If I can in some small way help them to remove or minimize barriers to progress and help empower them to keep moving forward, then I can consider my small contribution a success. It’s not rocket surgery. Be the person you want to be. Don’t “try” to lose weight or “try” to get strong. Be someone who eats well or who intently trains (or whatever) and make that a part of how you identify yourself. Then, just be that person every day. The partnership of fitness and time are a pretty cool thing. You can literally reinvent yourself over and over. In my adult life, I’ve been a 135 pound endurance athlete, a 185 pound ocean sports athlete, a 215 pound non-athlete, and everything in between. Time, effort, and consistency lead to transformation. I love that poke shops are popping up everywhere in San Diego now. While the purists will say it isn’t true poke, that doesn’t stop me from murdering pounds of raw fish. Mercury poisoning, I’m coming for you.